The most wonderful vets you could use. My three rascals are so well cared for, the girls on reception are so helpful and I would not go anywhere else. We just wanted to write to you today to add a personal THANK YOU for the care that you gave to our dog Wazzo. Throughout the time that Wazzo has needed help from a vet, we have been really touched by the care and compassion you have shown.Your consideration for her reaction to visiting the vets always helped and made her stress easier to handle. It has been a pleasure to experience the caring environment that you have created. Your team are friendly, helpful, caring and obviously happy in their work. An extended family, highly professional with a friendly, compassionate service. Nothing seems too much to ask (and I know we test those limits!) The animals' care comes first. Wouldn't want anyone else to take care of our personal or professional dogs in nay event - from receptionists and nurses, right through to the vets and surgeons. We would like to thank you for the wonderful care you gave our beloved cat,Posy.Posy was laid to rest recently and the care and comfort we received was exceptional. You had been looking after Posy for ten years and she was always treated with great care and kindness. Posy has left a huge gap in our lives,but now she is at peace. Thank you to all of the staff at Westover,especially Mike,Natasha,Toby and Lynn. Westover Large Animal practice was recommended to me by other farmers, and I can honestly say that joining the team at Hainford was one of best decisions I've made since becoming a pedigree Hereford cattle breeder. Everyone at the centre is full of enthusiasm, energy and a real pleasure to have on the farm whenever they visit. The time taken to get to know our herd is greatly appreciated and we are delighted to be a part of the excellent beef scheme which Westover operates. The scheme illustrates the centre's willingness to not only look after the welfare of our cattle but also assist in making sure our herd is a profitable one. Have been with Westover Vets since 1978! They have treated everything from ducks, chickens, rabbits, guinea pigs, cats and dogs; all with the utmost care and consideration to each individual animal. Vets, nurses and reception staff are always so helpful. Would not take my furry family anywhere else. Couldn't thank the staff enough when my dog was ill. I've been with Westover since I moved to Norfolk 14 years ago. On our 3rd dog and wouldn't want to go anywhere else. I just wanted to say a huge thank you for all you did for Archie. I would like to commend you and your staff. The two ladies looking after Archie on that Sunday showed such compassion when we came over and were both kind and supportive when we made the decision to send Archie on his final journey. 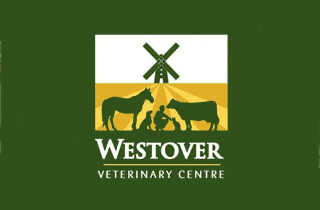 Our pets have been cared for by the Westover team since moving here in 1998. What a family to be part of! No matter the issue, the staff are kind, patient and friendly. Not all trips are happy ones but the team are so caring, I wouldn't take my pets anywhere else. Keep up the good work!